A spiritual artefact and a hunting weapon. 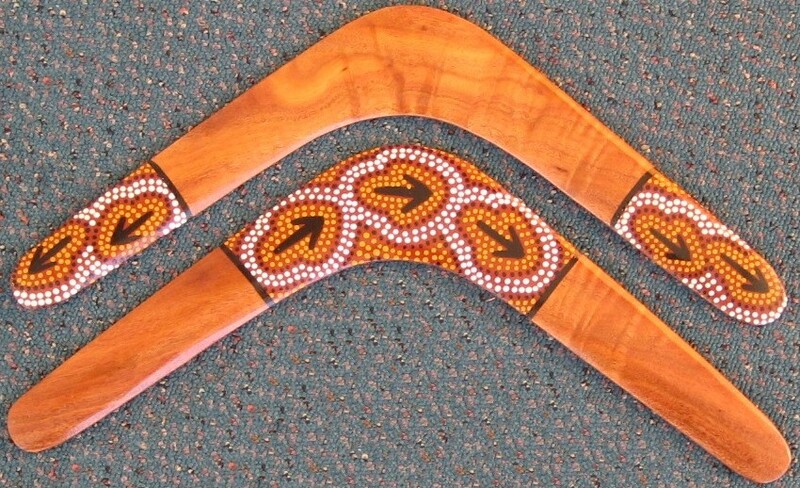 These authentic unique boomerangs are 100% hand made by Aboriginal families in Queensland. 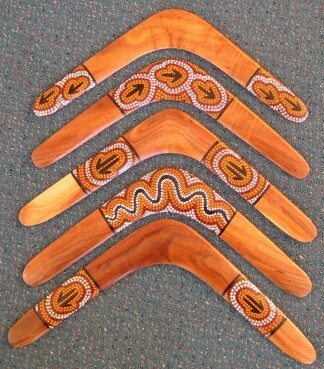 After the Black Wattle roots are digged out, the natural root bends are carefully selected and shaped by hand to form real returning Aboriginal boomerang. It's decorated in natural traditional Aboriginal art colors with dot art technique by Aboriginal artists.